World Translation Center provides professional Dari translation services for English to Dari and Dari to English. We can also translate Dari to and from over 150 other languages, including all the principal languages of Europe, Asia, South America, the Middle East and a number of African languages, at affordable rates. Our Dari professionals have the ability to provide translation for any project you might have, including marketing materials, technical, financial, legal and medical documents, websites and software. Our experienced project managers will match your project with a translator team appropriate for the field of expertise required. Each individual linguist works solely in his or her own mother tongue and within his or her field of expertise guaranteeing not only quality translation, but proper localization at the same time. After each document is translated, it will be edited and proofread by an additional professional translator to ensure highest possible quality. We also provide transcription, video recording and subtitling services. Should you need to have an existing video dubbed, a commercial narrated or a telephone system recorded, our native Dari speakers are available to furnish expert voiceover services. 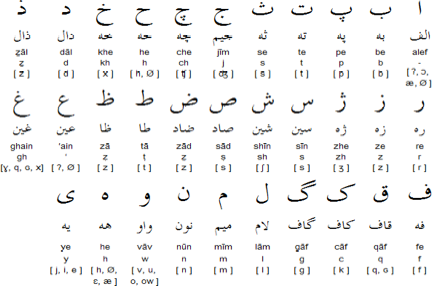 Farsi or Persian is the official language of Iran, Afghanistan, and Tajikistan. Persian has been a medium for literary and scientific contributions to the Islamic world as well as the Western. It has also had an influence on certain neighboring languages, particularly the Turkic languages of Central Asia, Caucasus, and Anatolia, as well as Urdu, Hindi, and other Indian languages. It has had a lesser influence on Arabic and other languages of Mesopotamia. 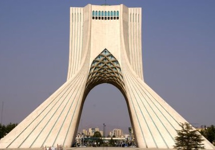 The official language of Iran is sometimes called Farsi in English and other languages. This is a correct transliteration of the native name of the language, however many, including the ISO and the Academy of Persian Language and Literature, prefer the name Persian for the language. Persian makes extensive use of word building and combining affixes, stems, nouns and adjectives together to form new words. Because of such word compounding, Persian can derive over 200 million words. Modern Persian is the variety of Persian spoken in Iran. Dari is the local name for the Persian language spoken in Afghanistan and Uzbekistan. UnisPers or Universal Persian, is a method of writing Persian with the Latin alphabet developed in Iran during the 1950s. The chart shows the letters used to write UniPers, together with their equivalent Persian letters. .
Tajik is the variety of Persian used in Tajikistan, Uzbekistan and Russia, but unlike the Persian used in Iran and Afghanistan, it is written in the Cyrillic script rather than Persian script. It is written like Russian from left to right.